Storage units are not just for your old or unused items; in fact, they have plenty of untapped potential when it comes to space management. Most people using storage rental units near Lafayette end up using them haphazardly by cramming unwanted items into an empty unit. This often leads to broken or lost items. If you really want to maximize the space you are paying for, you need to plan ahead before you even start to load up that first box. Go Large to Small – Larger items are bulky, take up more space and require more planning. So, it only makes sense to load those into the unit first. Use these larger items as a base and start by loading them near the walls. Tables and other flat items can be stored upside down so that boxes can be stored on top of them too. If you are storing mattresses, place them on their side near walls and store your sofas vertically rather than horizontally. Maximize Every Inch – The goal is to fill every gap and that means looking for potential storage spaces even when it does not seem as though there are any. For example, fill dresser drawers with items you need to store rather than leaving them empty. Drawers are especially good to store fragile, wrapped items. Bundle up tools and office supplies and then store in baskets. Fill luggage with storage items and pack bookshelves with photo albums, games and books. Fragile Items – Breakable objects need extra protection. Make sure each item is bubble-wrapped and properly cushioned before placing in a box. Whenever possible, use the dish wrappers and customized sectioned cartons to protect fragile items. Place all boxes containing fragile items in a safe position; never place other heavy cartons or objects on top of them. Make It Convenient – While you want to maximize the space, you still need the space to be efficient when you remove items. Try to keep items from the same room or within the same category together – such as kitchen stuff in one corner and collectibles in another. Also, do not forget to create small pathways between storage sections so that you can easily access items. Make a list of everything you are storing – This insures that you know what is in the unit. Always remember to list what is inside a box, on its outside. These steps will save time later when you need to find something that you’ve stored. Whether you need a long-term storage solution or you are just clearing out some space, utilizing the rental storage unit fully will help you save time and money. After all, when you use the space efficiently, you will not need or pay for a bigger unit. 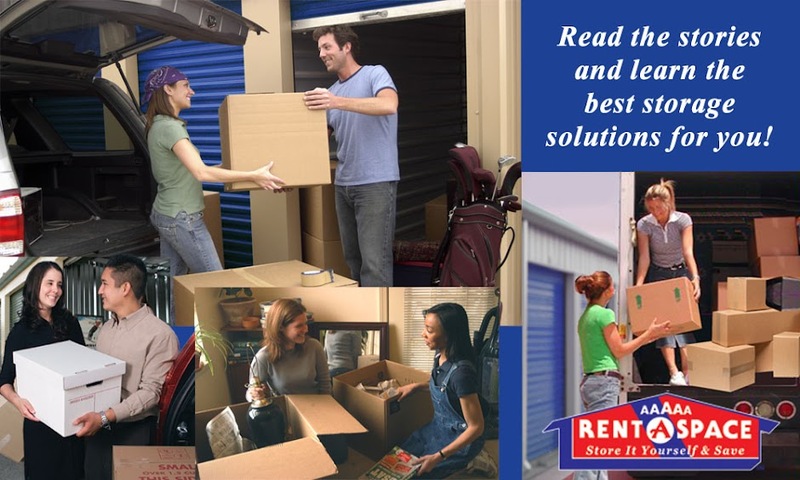 Call 5A Rent-A-Space at 925-643-2024 to discuss your options for a storage rental unit near Lafayette. You can also reserve your unit online now through our site. If you are not sure how much space you will need for your household items, use our online “Space Calculator”.